ET Now reported that, in a seemingly positive improvement for the IT sector in India, tech-giant IBM has supported the US Immigration Bill’s House version. Unlike the Senate version, the House version has no outplacement clause. The clause was being perceived as unfavourable to the IT sector of India. Under the Senate version of the US Immigration Bill, does not allow IT companies to position more than a particular percentage of their employees on-site which in turn would have compelled IT companies to change their business model due to the outplacement clause. A letter was written by IBM to the House Judiciary Committee offering their support for the Bill, said ET Now. The channel reported that IBM had previously supported the outplacement clause. JP Morgan has indicated two possible reasons for the changed stance by IBM namely – a backlash from their own clients and the Indian government putting a hold on the preferred market policy. ET Now said that in a note, JP Morgan said that the development is positive, which may mean that the final version of the US Immigration Bill is not likely to have unfavourable clauses. 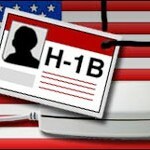 The placement of H1-B employees at client sites is restricted by the outplacement clause and imposes marginally higher filing fees on employers dependent on H1-B based on the percentage of US Citizens employed in the company. Currently, these companies pay $2,500 for the processing of H1-B visa and for premium processing an additional $1,225 is paid. 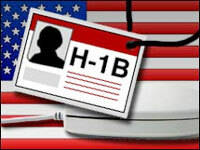 Due to the bill’s clause, Indian IT companies will be forced to reduce their need for H1-B workers as it may need them to grant higher salaries and visa fees to H-1B visa holders than their American peers with equal experience. JP Morgan feels that the IT companies in India need to promote their hiring attempts a lot more, localize their US enlisting more, maybe invest collectively (as an industry) and individually, and create recognition in US colleges in displaying themselves to be good US Citizens.